One hundred years ago today, on his twentieth birthday, Vladimir Nabokov arrived in Athens after he and his family had escaped from revolutionary Russia. He would never see his homeland again. Over the next 20 years, he and his family moved restlessly from Greece to England to Berlin, and finally to America, barely escaping the Nazis. 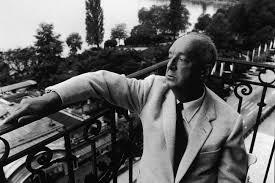 Nabokov’s amazing story is brilliantly told in the long read: “Vladimir Nabokov, Literary Refugee” by Stay Schiff. I will not reduce that article’s many charms by attempting a precis: It is well worth the reading. But this is a fine time and place to note that Vladimir Nabokov is one of the five authors I could not do without. As with each of the others — James Joyce, Dylan Thomas, John Dos Passos, and Joseph Conrad — I have read and reread all of his works in English, without tiring of them. There are times when other authors are my favourite of the day (Irving, usually, or Brautigan), but I always return to the Big Five. It must be time again for Pale Fire or Ada, and then perhaps the USA trilogy. That would make for a fine summer. 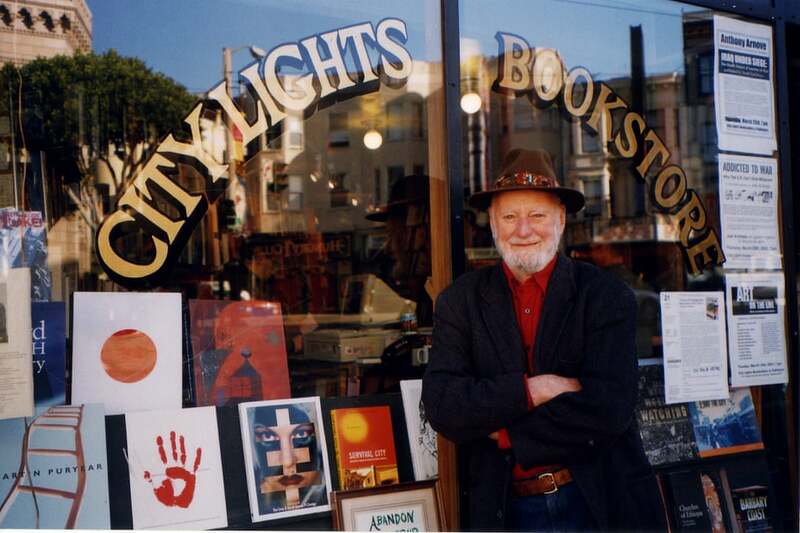 Today is the 100th birthday of poet, publisher, and artist Lawrence Ferlinghetti, possibly best known as the founder in 1953 of City Lights Bookstore in San Francisco that was essentially the home of the Beat literature and poetry movement. The City has declared today to be Lawrence Ferlighetti Day. And The Rich Get Richer…. Back in January, I reported on an Author’s Guild report that showed the average income for a full time writer in the US in 2017 was just $20,300. Of course, averages are a function of the highest and the lowest figures available. Extraordinary numbers, I think. 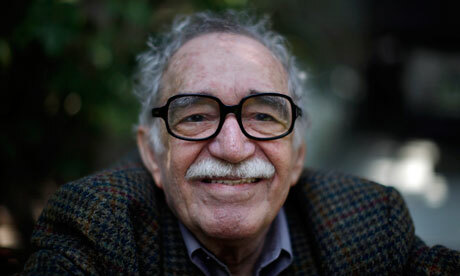 They prove the power of TV and movies to vastly expand the earning capacity of the novels, especially those in series. And they show, as if we needed more evidence, that the inequality of rewards inherent in capitalism are just as prevalent in cultural industries as in any other. Twenty-five years ago today we sadly lost genius poet Charles Bukowski. To remember him, here is an animation of his poem The Man With The Beautiful Eyes. 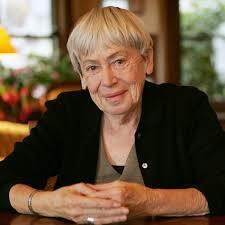 While I have read a great deal of science fiction, fantasy, and poetry in my time, I have never read a single work by the late Ursula K. Le Guin. No specific reason for that; I just haven’t. However, a few weeks ago I read something that persuaded me to order what I think is her last collection of essays, “No Time To Spare“, from the library, and I just finished reading it. It was marvelous. It is a collection of short essays — more properly, long blog posts — in which she covers a wide range of topics including ageing, her cats, breakfast, visits to the opera, the meaning of words, anger, the deterioration of imagination in swearing, the nature of belief, and the Great American Novel amongst many others. I enjoyed it all, but in particular her reminiscences of John Steinbeck, her essay on Homer, and the joys of answering fan mail from children. She comes across as a thoroughly sensible and likeable woman and I feel certain I have missed out by not reading her before now.